Even though there are no hard and fast rules for setting the rates of any small business, the rates you set for your virtual assistant business shouldn't be arbitrary. We lay out 6 things you should consider before you set your rates, including calculating the number of hours you work each week, choosing billing increments, and factoring in your experience. Once you decide to start your own business as a virtual assistant, one of the most important decisions you’ll make concerns the rates you charge your customers. While there is no one-size-fits-all philosophy for setting the rates of your VA business, there are a few things you should keep in mind when setting your rates. You must consider your personal income goals, long-term expectations, and current financial needs when establishing your rates. Don’t forget that you also need funds to invest in your business for advertisement, equipment, upgrades, and more. Then, there’s Uncle Sam’s share of the proceeds to keep in mind. Put your skills to work mapping out your expected contribution to the family budget, your retirement investments, emergency funds, and other expenses you may have as well as building a little fun money into the planning. You must set your rates high enough that you can turn a profit in the limited hours you plan to work each week. Given that there are only 24 hours in a day and that you need to maintain a healthy balance between your family, life, and work as a virtual assistant, it’s important to consider how many billable hours you plan to work for clients in a week. 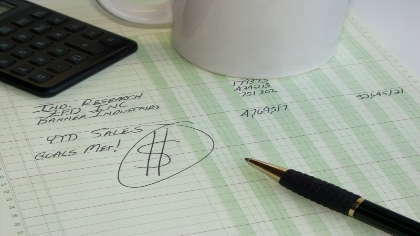 Don’t forget to budget administrative time for your business into those calculations. Every hour you spend working for clients is an hour you cannot spend with your family, on your home, or participating in your favorite pastimes. It’s an hour of your life you’ll never get back. Value that time appropriately. If you don’t, no one else will. Many virtual assistants bill by the hour. Whatever the rates they charge, they charge them per hour worked on behalf of the client. Some offer prepaid blocks of time in five or ten hour increments in order to keep nice round numbers for the week. Others invoice clients at the end of the week for the number of hours (not to exceed an agreed upon number of hours) worked in the course of a predetermined period of time. This can be by the day, weekly, bi-weekly, monthly, or on specific days. You have the choice here -- just create a contract reflecting that choice and use it with your clients so that everyone is on the same page. While it may be tempting to offer a ton of options to meet clients' needs and budgets, you run the risk of offering them too many choices, leading them to do nothing instead. Give them one or two choices on how to be billed, and leave it at that. The easier it is for them, the easier it is for you. You bring a lot to the table. You have skills and talents that are uniquely yours. Include your abilities in your calculations. The more experience you have, the higher your rates should be. Your experience does not have to be limited to specifically VA work, either. If you have education and experience doing the tasks you plan to do for clients, that counts, regardless of where you performed them before. The most important rule to remember when setting your prices as a virtual assistant is that they’re always subject to change. While you don’t want to change them frequently, it’s allowable to raise your rates once you reach a point where you’re turning down work because you simply don’t have time to do it. Be aggressive but realistic in your pricing, and deliver high quality work so that clients are perfectly willing to pay the rates you charge.